What can I say other than this year’s been pretty crazy! That’s all I gotta say on the subject. Some of you may have heard of the book of the same name. Well, someone decided to turn the book into a 2-part mini movie. Part 1 just finished airing and part two will air tomorrow night. 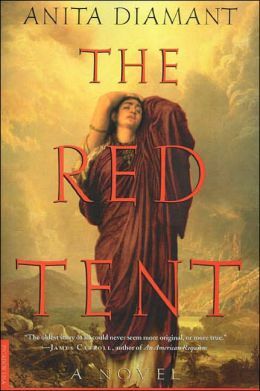 The Red Tent tells the story of Dinah, who was the only daughter of the Patriach Jacob and sister to Joseph. The same Joseph known for his dreams from the Book of Genesis. Dinah is mentioned by name in the Bible so there is little doubt she really existed. Her mother was Leah, who was one of Jacob’s two wives (we’ll revisit this detail in a moment). The thing is, the book–and by extension the movie–is 90% fiction. The only things true are the characters themselves and the timeline. While yes I get it the author wanted to give Dinah a backstory but at the end of the day, The Red Tent is non-canonical to the biblical account of Jacob and Joseph’s stories. The reason I’m stressing this point is because The Red Tent is told from Dinah’s perspective. She IS the main character, after all. Anyway, I want to go back to the polygamy thing I noted above. We know from the original narrative Jacob had two wives: Leah (the oldest) and Rachel (the youngest). The Red Tent states there were two middle sisters between them. Both women are also mentioned by name but weather or not they were sisters to Leah and Rachel or their servants is open to interpretation. Getting back to Leah and Rachel, they competed for Jacob’s affection in their own ways: Leah gave him six sons and a daughter while Rachel had his heart. For the time period, polygamy was actually very common. Now let’s talk about the movie itself. It opens with Dinah’s narrative about her being a footnote in her father and brothers’ stories. She then introduces The Red Tent, which was a tent forbidden to men where the women gathered to share and pass on family traditions, customs and wisdom. It also served as the tribe’s maternity ward and in time, the women became well known for their skills as midwives. Reminder: This is the story’s narrative. The tent itself is not mentooned in the Bible. One aspect of the Red Tent that I took issue with was the suggestion Leah and Rachel used it to secretly worship idols behind Jacon’s back. When Jacob later finds out he destroys the idols and angrily confronts his wives. The movie seems to leave the confrontation unresolved in favor of story along, likely due to time constraints. The laws of the time on the matter were pretty clear: Anyone caught with idols was to be exiled from the tribe or stoned to death. Moving on, Part one ends with the incident involving the Sechem. In the Biblical account, the Prince takes Dinah’s hand in marriage. Her brothers are furious but the Jacon and the king of Sechem make a deal: Jacob is willing to allow the marriage if every man in the kingdom is circumcised. The king agrees. Meanwhile, Jacob’s oldest sons Levi and Reuben devise a plot to kill all of the men while they are recovering from their circumcision and take Dinah back by force. Talk about not liking your new in-laws! The preview trailer for part two suggests Dinah objected to Reuben and Levi’s plot to sell Joseph into slavery. It’s also likely Rachel dies giving birth to her last brother Benjamin around the same time. Preview trailers are also done out of sequence but from what I could tell, Dinah ends up going to Egypt shortly after Joseph is sold off and meets up with him. She also seems to be exiled from her family for some reason based on her dialogue though it sounds more like her anger over what her brothers did to her husband. It’s not uncommon for someone to write a narrative for a minor character in a story. I do that in fan fiction all the time. I also know this book is used to help raise money for Women’s heath in developing countries and bring awareness to women’s rights in the developed world. The story does its job of telling two powerful stories most people know from a different perspective.